This article is including in a series ranking the top returners in each event heading into the 2015/16 indoor track and field season. Check out the other rankings lists in this series here. Last year lived up to the hype. At the PTFCA State Championship at Penn State, we figured there would be a great matchup between two of the best half milers in not just the state, but the entire country. 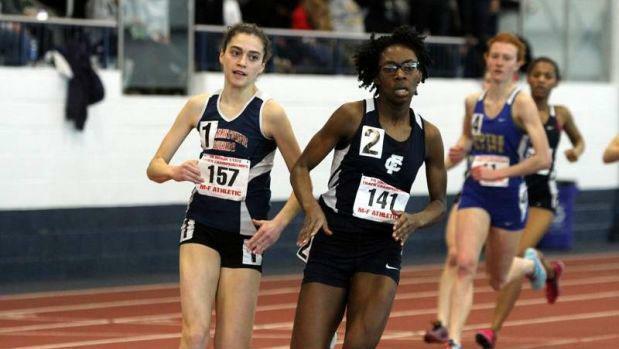 In the 800, Friends Central's freshman sensation Gabrielle Wilkinson and Germantown Friends School's Sarah Walker were set to square off. If that race wasn't enough excitement, how about we try it one more time? Both Walker, now a senior, and Wilkinson, into her sophomore year, return this season, setting up what might be the battle of the winter. The Friends' League rivals didn't see each other in outdoors after Wilkinson was sidelined with an injury, but it appears she's back and ready for a big indoor season. What could those two have in store in 2016? On top of that, the field behind them remains stacked. Seven of the eight podium finishers from indoor states last year return as well. This event might be the most top heavy as well as deep event in the entire state. Notre Dame's Mikayla Schneider, who was third at states last year, returns and hopes to put herself up there. AAA state champion Maddie Villalba of Central Bucks West is also back. She was seventh at states last year, but boasts a 2:12.62 indoor PR from last year. Villalba also ran under 2:08 twice outdoors last year. Mount Lebanon's Claire Dougherty is western PA's card in this game. She was fourth at indoor states last year and fifth outdoors. Agnes Mansaray of Penn Wood is continuing to progress. She was fifth at indoor states a year ago, but took second in the state outdoors at AAA. Mansaray barely beat out Cardinal O'Hara's Olivia Arizin for that spot. Arizin will be another threat in the 800 indoors. McKenna Keegan of Avon Grove is a 400 specialist, but if she decides to run the 800, she should be considered a possibility with her speed. Plenty of other names will look to put themselves in the conversation in what should be an exciting year in the girls' 800. Check out the rest of the top 500 returnees in the event.